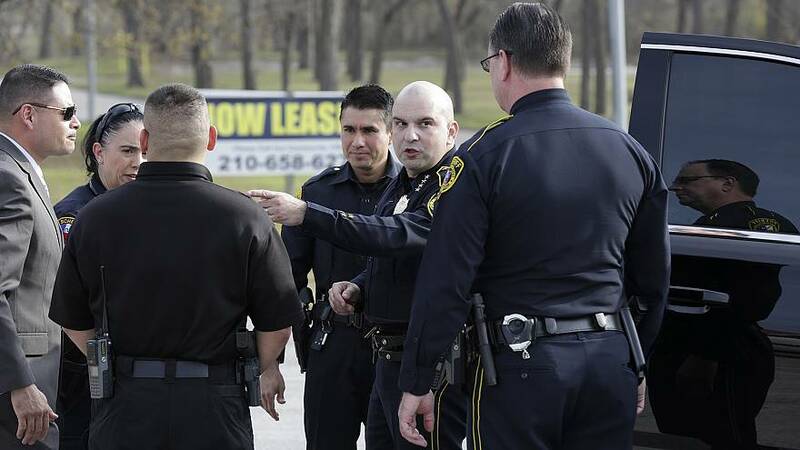 The woman, a suspected car thief who had been trying to break into the home, was also killed in the shooting on Thursday in the Schertz, a small town some 20 miles northeast of San Antonio, NBC affiliate WOAI reported. She was later identified as Amanda Lee Jones, 30. Salazar said Jones got "cornered" at the home in the Pecan Grove mobile home park and threatened Kameron's family as well as officers when they caught up with her. The slain boy and his family do not know her, he said. Salazar said there was good audio of the incident, but said his office did not have clear video of the shooting. A helicopter overhead caught the scene moments after, and the deputy who was had a body camera unintentionally obstructed its view when he raised and fired his rifle.